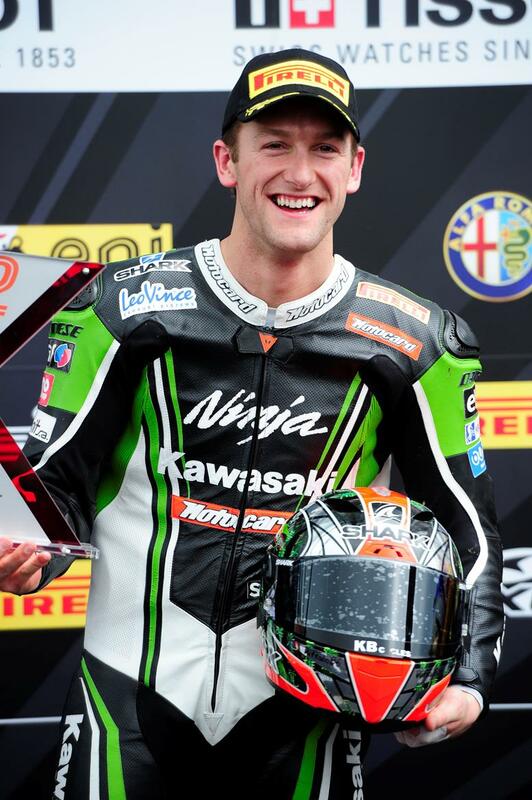 Kawasaki man Tom Sykes secured his maiden WSB win in dry conditions in a shortened second race at Monza today. The 27 year old who started on the front row made a blistering start and was never headed during the shortened eight lap race. With a clear track, Sykes lapped over a second faster than his rivals and enjoyed a massive ten second lead when rain began to fall at the Italian circuit and the race was red-flagged. Unfortunately for Sykes because the race was declared at half race distance he was only awarded half points for the win. Second place went to Leon Haslam who rode brilliantly after qualifying in 14th place. He finished ahead of last years double winner Eugene Laverty who secured his second third place podium in a row. Marco Melandri, Max Biaggi, Jonathan Rea and Carlos Ceca were all in the battle for second position and were covered by just over one second at the finish.